Binary options’ trading is the simplest form of investment online, and WinOptions makes it simpler to reach investors with different investment profiles. Our feature-packed trading platform allows every investor to trade binary options in a dynamic, profitable and exciting environment. Through our simple and professional binary options trading platform, traders from around the world are able to hedge their positions in the market and profit from the market fluctuations with lesser exposure to risks. The emergence of binary options has opened the doors to multiple trading opportunities, giving each and every trader an equal chance to make money online over the global financial markets; Forex binary options, indices binary options, commodities binary options and Forex binary options. This, in combination with our powerful trading platform, is a great formula for financial success. In binary options trading, let us be your guide! 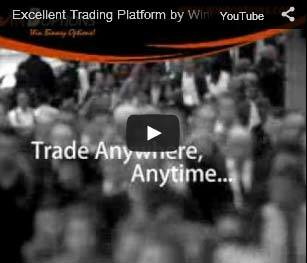 Below are the excellent features and benefits that you will receive once you join Win Options. The freedom to trade. Our platform is purely web-based, so traders enjoy the liberty to instantly trade binary options from anywhere in the world. You don’t need to download or install any software. Maximum mobility. Experience flexibility and convenience in one mobile trading app. 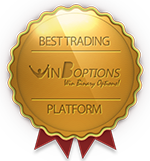 Win Options Mobile app gives you the power to trade straight from your smartphone/tablet. It’s simple, engaging and most of all, profitable! Powerful. Others state that our platform is too plain and simple, yet they do not know the incredible features embedded in our trading platform. These tools allow traders to customize their trades to fit their preferences and strategies and offer huge rewards when appropriately used. Our features include the Option Builder, Double Up, Roll Over, Buy Me Out, Long-term Options, Win Trader, One Touch and 60 seconds trading. Risk management. We have devised a ‘Risk Management Portfolio’ that consists of several new features to help reduce one’s loss or exposure to risks. ‘Roll Over’ is a powerful stop-loss strategy that allows you to “postpone” your option’s expiry time to the nearest available expiry time. By postponing the expiry of your option, you get another chance to finish in-the-money. ‘Buy Me Out’ tool allows you to sell your option at any point in exchange for a premium. If your prediction isn’t going to be on target, simply click on the Buy Me Out button and we will offer you a price to close your trade WinOptions at that point, thus limiting your loss. Over 100 assets open for trading. We provide our clients with a platform to trade binary options on a wide selection of assets. We have a total of 94 underlying assets available for trading; 42 of them are stocks, 14 are currency pairs, 7 indices and 31 global indices. Payment and withdrawal options. At WinOptions, your security is paramount. That’s why we only support the most credible and reliable payment processing methods which enable you to transfer funds securely and hassle-free. Experience fast banking transactions with our wide array of banking methods. Simply select from any of the methods available and the funds will be visible in your trading account within a short period of time. Currently, we support the following credit/debit cards: WinOptions Visa, MasterCard, Diners Club, Maestro, Solo and Visa Electron. Or, make instant deposits through our range of e-wallet services such as Perfect Money, CashU, iDeal, OKPay, CartaSi and more. In addition to the deposit and withdrawal options, WinOptions now accommodates users who want to fund their accounts using cryptocurrencies. Among the list of payment methods of the platform are cryptocurrency-accepting processors. 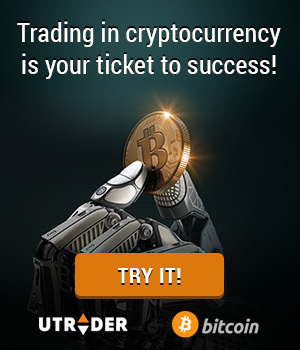 Therefore, you don’t have to look for specific Bitcoin, Dogecoin, or Litecoin exchange sites to convert your cryptocurrency coins. Simply use any of the applicable payment processors and fund your trading accounts. This is exciting for those who want to benefit from the cryptocurrency’s advantages. Quality customer care. Here at WinOptions, exceptional customer service and advanced support system comes as a standard. From the moment you sign up, you will be assisted by your personal account manager and guide you throughout the learning process. For professional assistance, you can contact our team via phone, live chat, e-mail or simply send your concerns by filling out the form in our WinOptions support page. Want to experience all of these? Create an account today and become one of our valued traders!